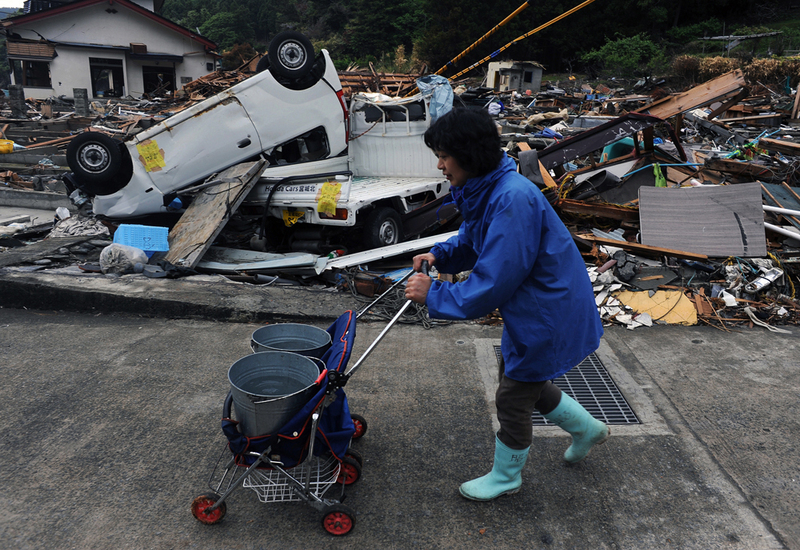 Akiko Kameyama (55)* delivers water for sewage disposal use to her neighbors among tsunami wreckage in Hamagurihama in Ishinomaki, Miyagi prefecture. She does it at least twice a day for her neighbors. "I still can't believe this actually happened,"said she. *not related with the previous " Akiko" Kameyama (59), using different Chinese character from the previous " Akiko."